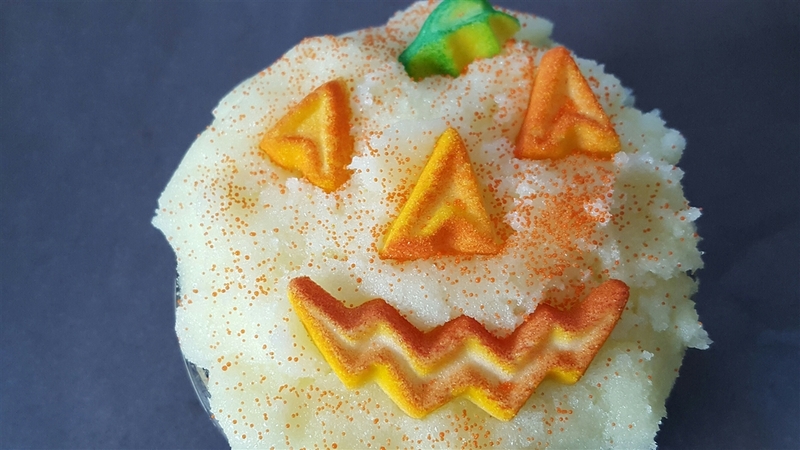 An 8 ounce creamy sugar scrub with added pumpkin butter and topped with sugar pumpkin face cutouts. Scented with tart granny smith apples, caramel, cinnamon, pumpkin, and hints of hay. Tetrasodium EDTA, Jojoba Spheres, Mica, Titanium Dioxide, Iron Oxide, Tin Oxide, Fragrance, and Sugar Decorations.